The Miracle of Christmas at Sight and Sound Theatres is an amazing stage production that's been described as a 'true sensory experience' that will broaden your understanding and allow you to discover the true meaning of Christmas. Reawaken long lost memories of the holidays for you and your family. while creating new traditions this holiday season! Of course, the trappings of modern Christmas celebrations are only icing on the cake. The real story is the birth of Christ the Messiah, as he takes human form. The story of kings, shepherds, angels and simple folk, as well as a common couple blessed above all the kings Earth has ever witnessed. Enjoying the Miracle of Christmas is an amazing way to bring the real meaning behind the celebration home to the hearts of everyone in your family; you're guaranteed to be moved, excited and overjoyed. 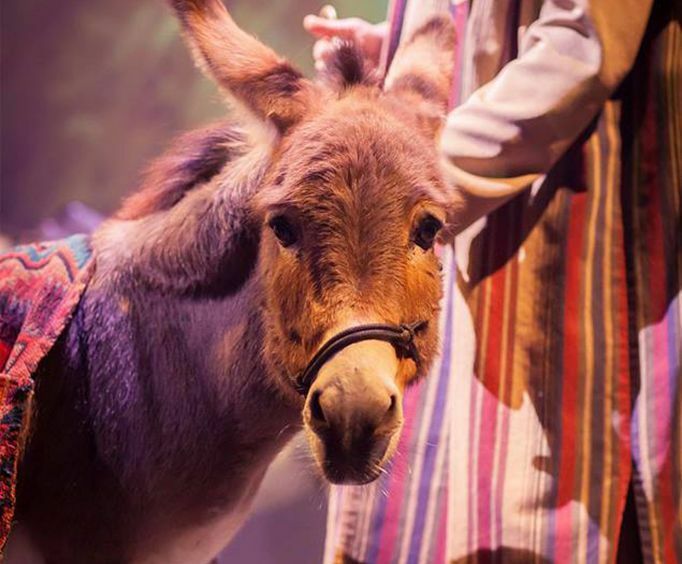 Each performance at Sight and Sound is absolutely stunning because the productions utilize live actors in elaborate costumes, special effects, live animals, a state-of-the-art sound system and other exciting elements to bring Bible stories to life right in front of your eyes. The costumes are beautiful, the musical numbers are original, and the story is one you will always remember. Do not miss out on this amazing opportunity to celebrate the real reason of the season! The audience will be delighted as they witness the story of a young Mary who is given word that she will birth the son of God. 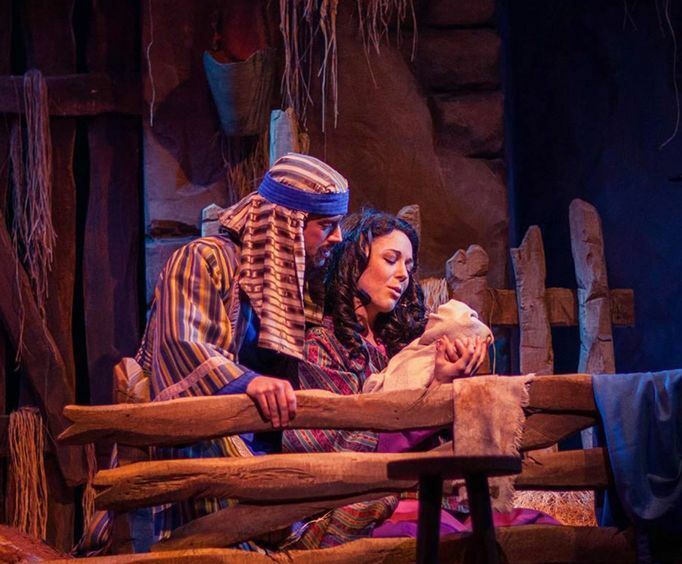 You will watch as he is born, see the three kings arrive on their camels, and watch as each scene unfolds with awe at this beloved theater in Branson. The Sight & Sound Theatre is a one-of-a-kind theater that features a state-of-the-art stage and theater. Known as the 'Christian Broadway,' this theater brings classic Bible tales to life with a mechanical stage, pyrotechnics, multimedia, and lasers. This famous Branson theater allows guests to see Biblical stories come to life before their very eyes. The Branson theater has seen many unique Biblical shows throughout the year, such as Jonah, Samson, and the Miracle of Christmas during the holiday season. The theater debuted in 1976 as a family-oriented and owned attraction. For decades, the company has prided itself in bringing uplifting stories to the world. Sight and Sound is a beloved theater in Branson with stage production flair that you won't soon forget. Millions of visitors head to the Sight and Sound theater locations in Branson and Lancaster County, PA. Here, they can seat themselves in the expansive 2,000 seat theater and enjoy some fantastic performances. Time and time again, amazing shows are brought to life at this Branson theatre. These performances take the word 'play' and completely blow it out of the water. This isn't just a production - it is an unforgettable experience that you will talk about for years to come. Carefully crafted, each show takes approximately 42 months to complete. The scripts, stories, and music are all completely original. As well as providing a live music aspect, the soundtracks are original music that is created and recorded specifically for each show. These soundtracks can be purchased as well. Each song is performed live, though, by talented vocalists. A new show is produced every other year! It is easy to see why people rave about these shows. Sight and Sound Theater productions are known for their amazing theatrical elements. One of these absolutely unique features is the fact that the theater uses live animals in each of their productions. Just a few of the animals that guests might see during a Sight and Sound show include horses, pigs, cows, goats, camels, and even a skunk! Each of the animals are treated like family and are taken care of and live at on-site animal care facilities. They truly bring a unique element to the show that will have audience members of all ages in absolute awe. 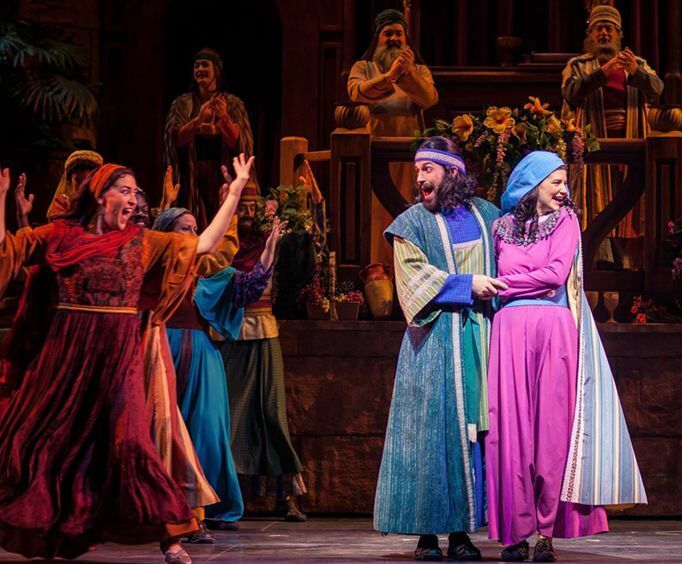 Be sure to embark upon this extraordinary journey through theater and fun as you enjoy the miraculous wonder of live theatre and Biblical stories when you next visit Branson MO. Beautiful costumes, elaborate sets, and more await as this timeless Christmas classic is brought to guests in the Ozarks! It's well worth the trip to Branson! Approximately how long is the Miracle of Christmas at Sight & Sound Theatres® Branson? The show is held at Sight and Sound Theatres in Branson, MO. What is the length of intermission at Miracle of Christmas at Sight & Sound Theatres® Branson?